Symotic specializes in the manufacture of small diameter, rolled bolted bolts, screws and shafts. Our automated machine can quickly and cost-effectively produce its head at the desired lift for a rolled pin bolt, screw or shaft as needed. Our axle production focuses mainly on the toy industry, but we also supply shafts, stud bolts and screws to other industries. Our raw material from our warehouse contains several materials and diameters for different applications and uses. We are also able to combine rolled products with other thread manufacturing methods, among others. 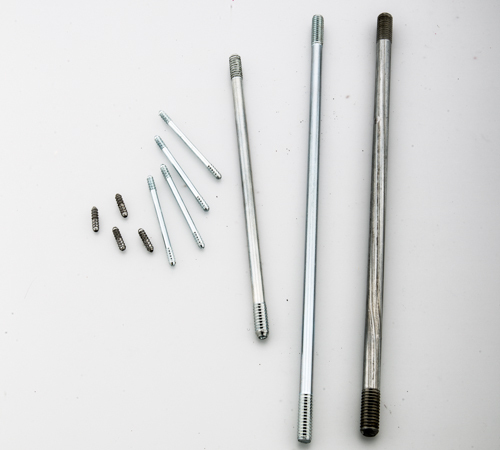 Cold heading, welding, bending, which allows us to manufacture, for example, U-bolts.